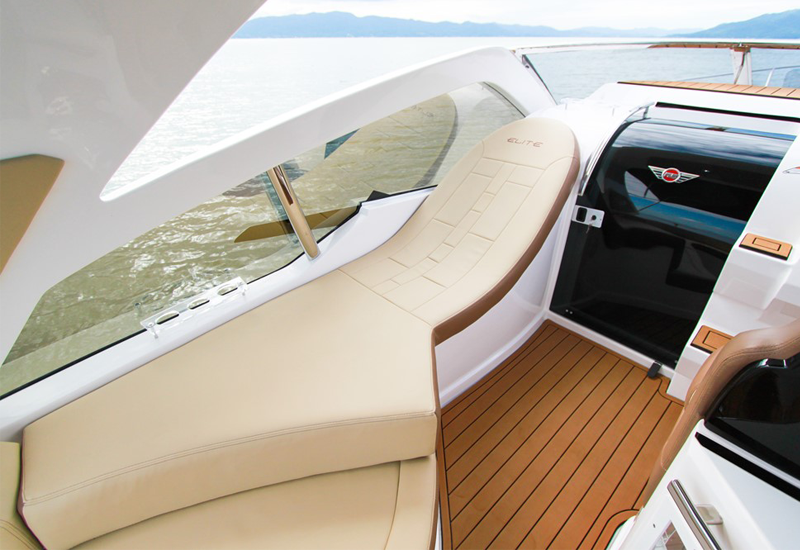 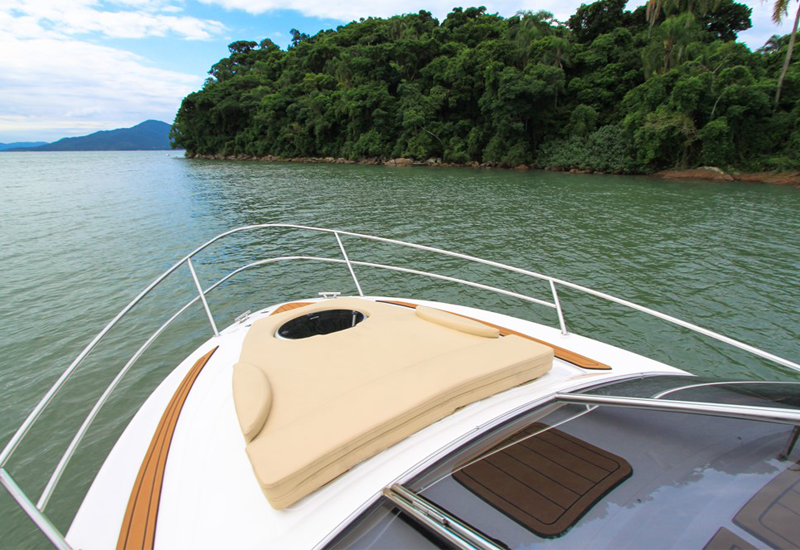 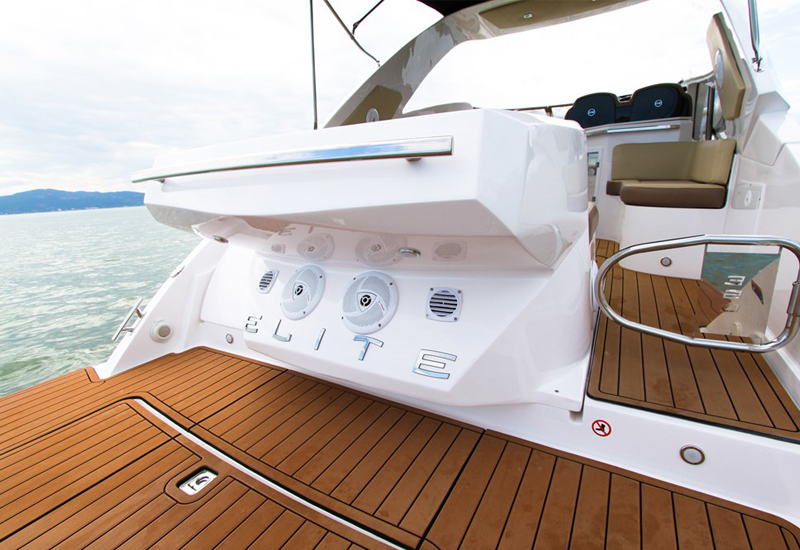 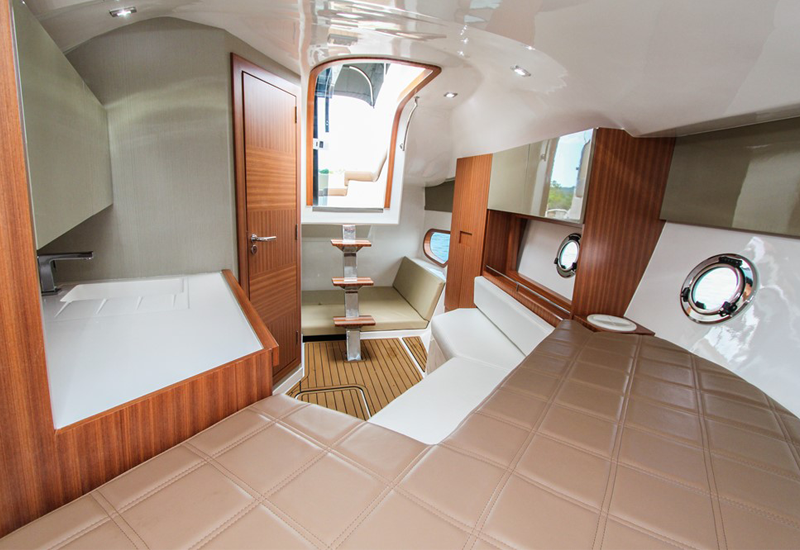 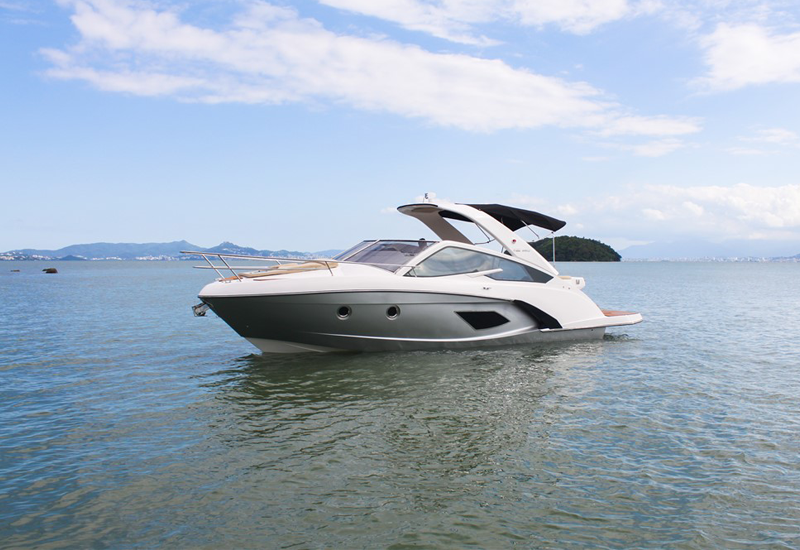 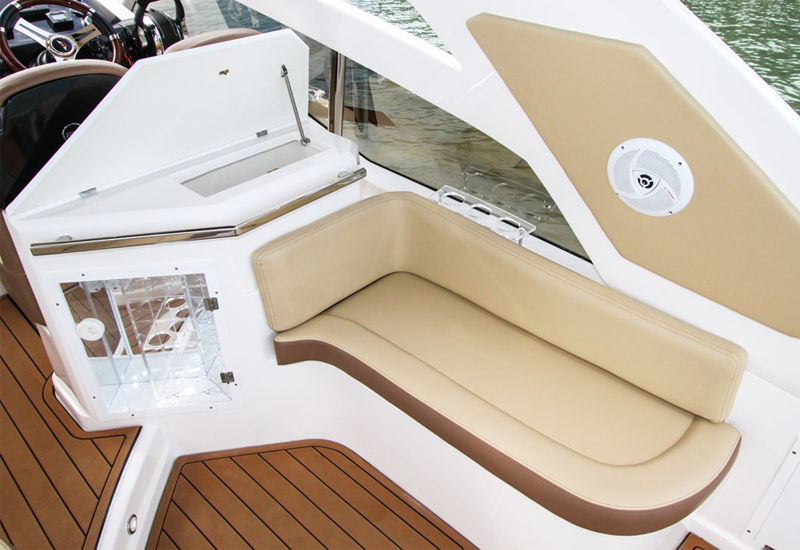 The FS 320 Elite is FS Yachts boatbuilder’s top-of-the-line boat. 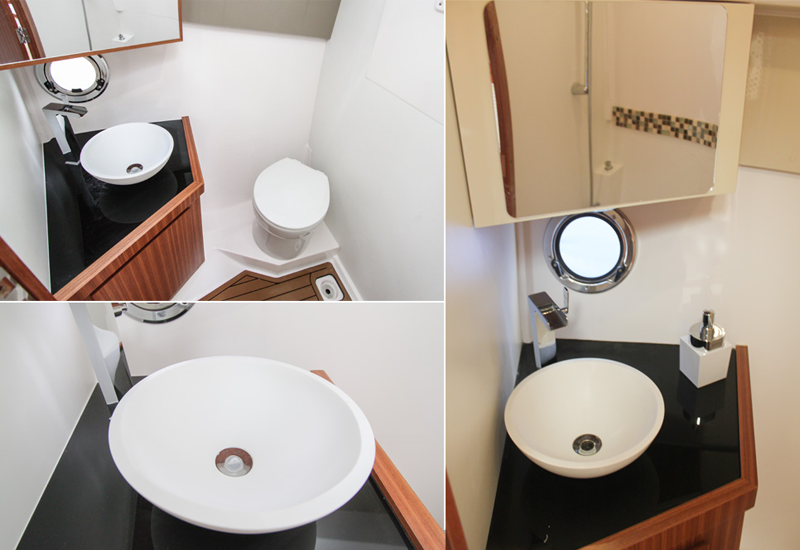 Imagine a motorboat that stands out for its unique design and offers a comfortable deck space for 14 people during the daytime, a cabin with a ceiling that is 1.91 m high, a galley, a complete bathroom, and 3 single beds (convertible into 2 double beds). 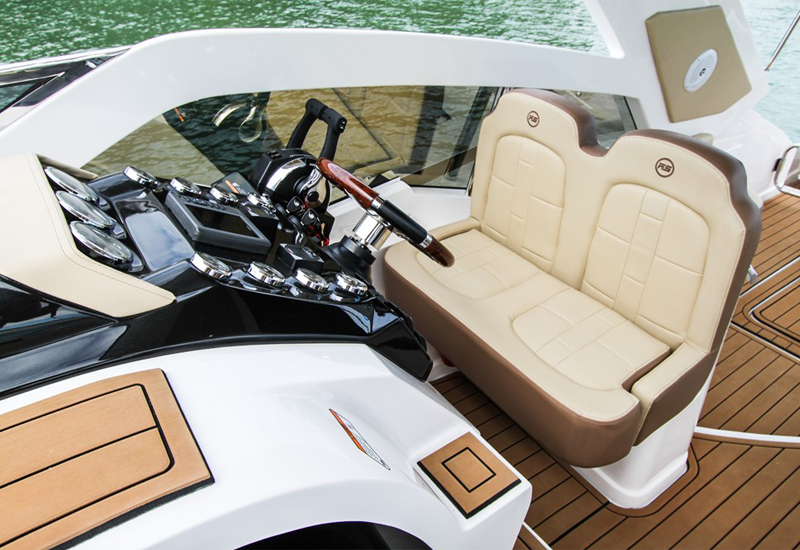 Imagine a watercraft that besides offering more than comfort on board, presents the flawless finish of the FS Yachts’ motorboats. 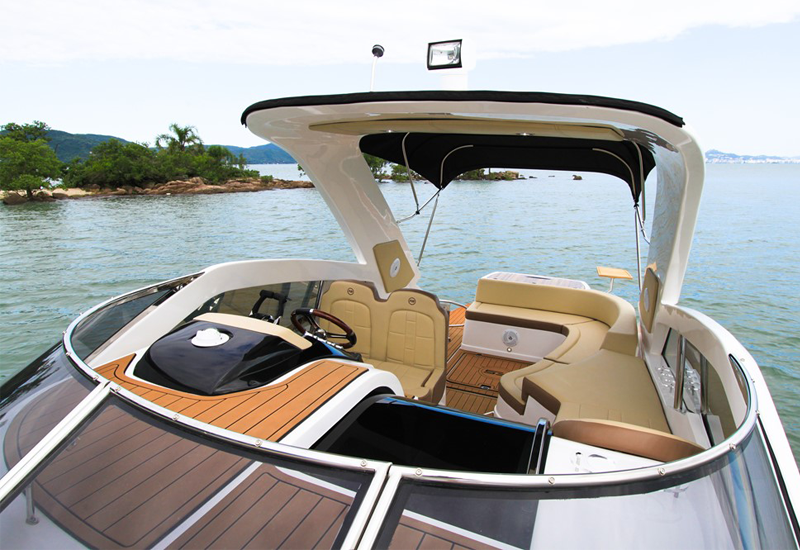 Stop imagining and come see the new FS 320 Elite. 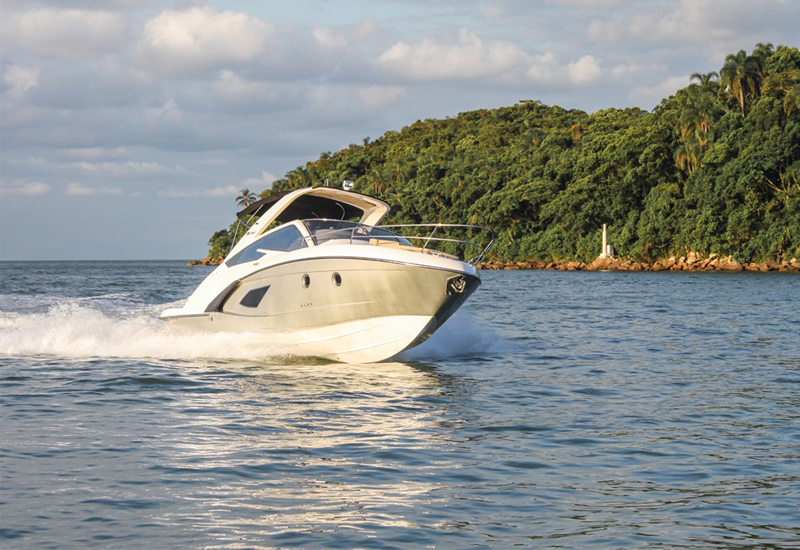 There is a great advantage in making boats for more than 15 years: we know our customers thoroughly and we know what is required for a boat to ensure our customers’ satisfaction. 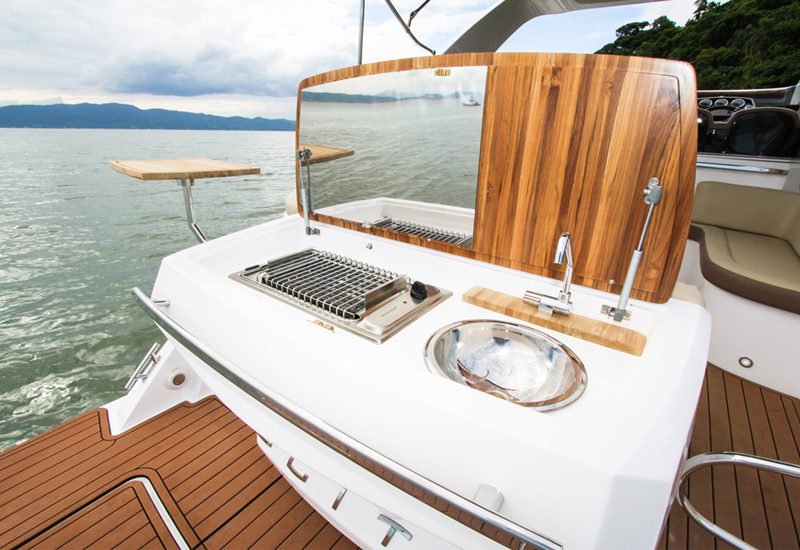 The FS 320 Elite features a full gourmet area, which includes a sink with tap and a charcoal barbecue with a wooden board, all strategically positioned on the aft platform, which, by the way, is the largest swim platform on boats within the same category. 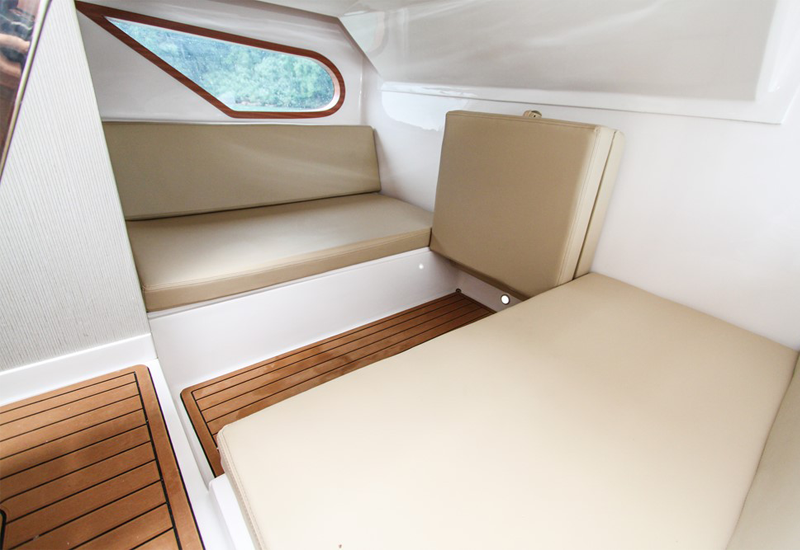 The vessel’s deck favors on-board people flow without stumbling and allows easy access to the cabin as well as the bow, where you can sunbathe on two comfortable beds located above the cabin. 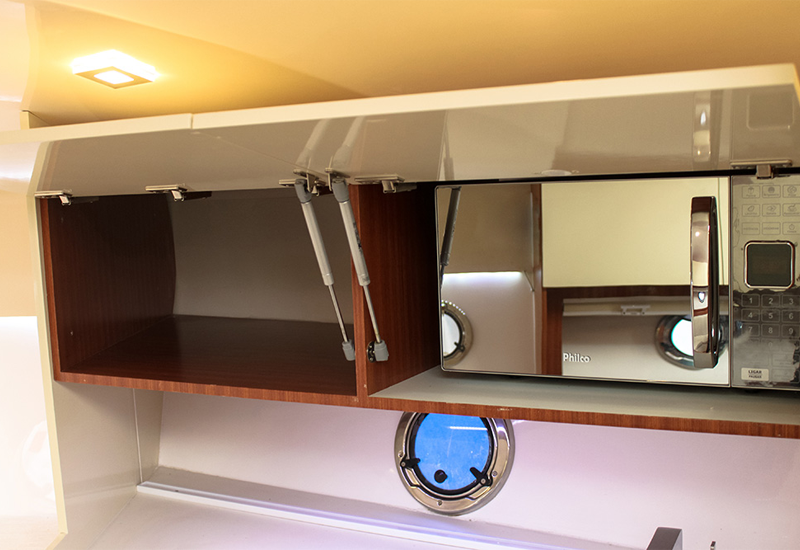 The cabin is dynamic and it is remarkable for its ceiling height (1.91 m), where the highest ones can stand upright. 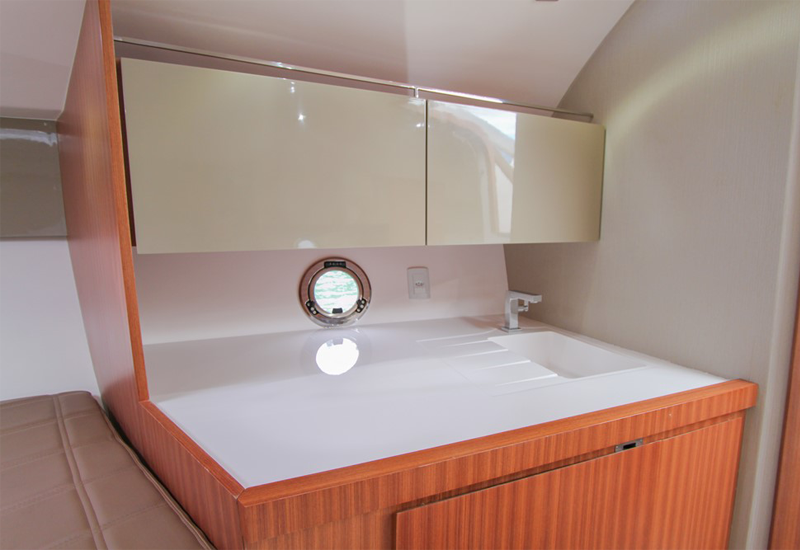 It allows easy access to the bathroom, which features an electric toilet, trash can, washbasin w/ tap, cabinet, shower, and window w/ opening. 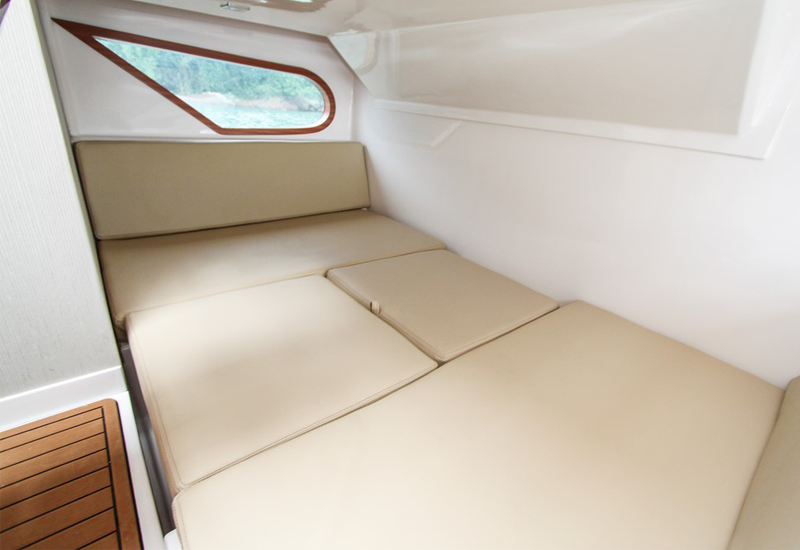 The cabin has plenty of space for peoples’ accommodation, including 3 single beds, convertible into 2 double beds. 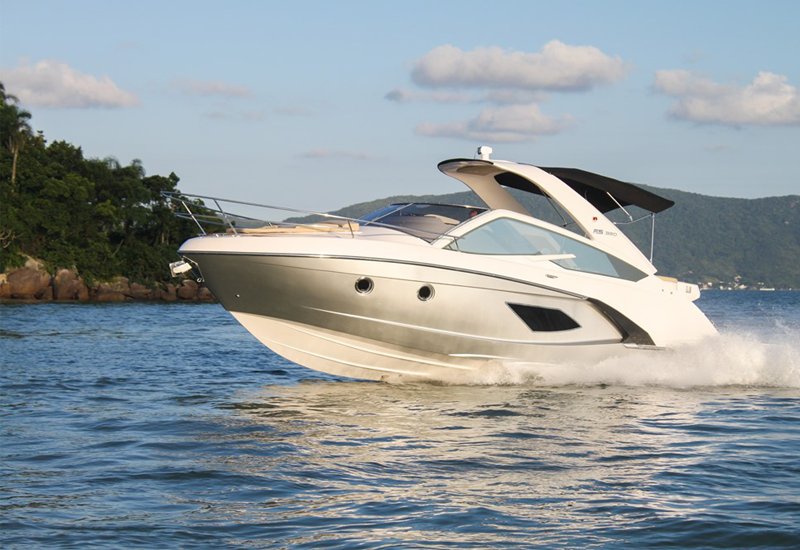 A dynamic and modern boat, just like you. 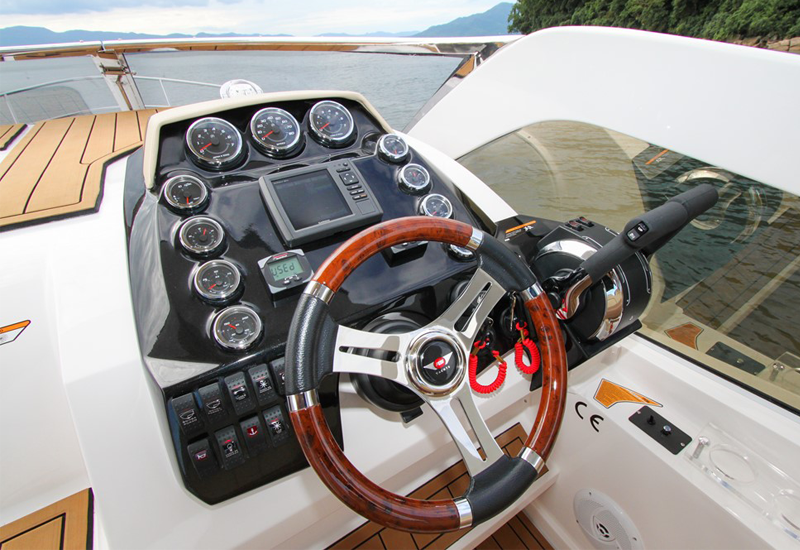 We suggest that the boat’s engine is chosen according to the availability of authorized maintenance workshops in your location (preferably, an FS Yachts local dealer) and its power suits its intended use (freshwater calls for more power, for example). 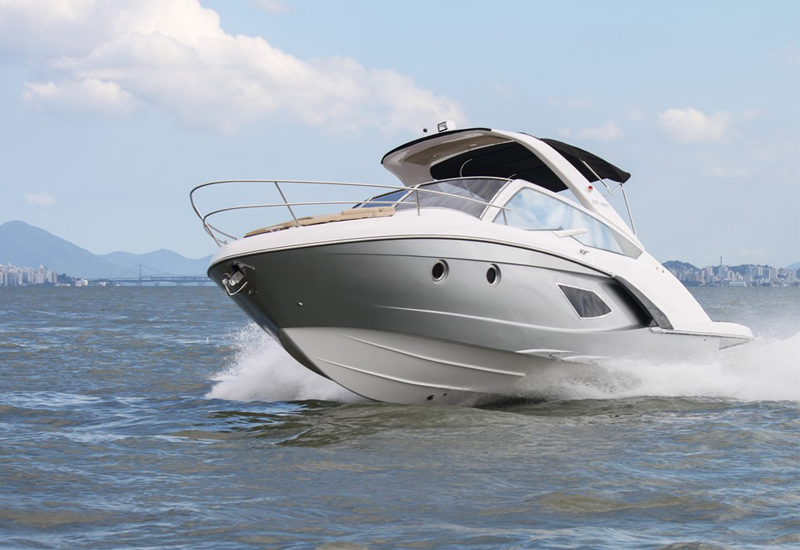 Estimated fuel consumption of the FS 320 Elite with the most cost-effective engine: Twin 4.3 L, 220 HP MerCruiser (consider that the ideal cruise speed is within 2,500 – 3,500 RPM): (the following consumption corresponds to one engine).